These days with a tap on a touchscreen is all it takes to share your daily activities and thoughts with your closest ones and even the world. Instagram has made its mark as a popular social app, with accounts set up personally by owners for their Pets. Dogs are known to be the most expressive by many, that’s a fact we can’t deny, but what about other animals, and more specifically, Rabbits? 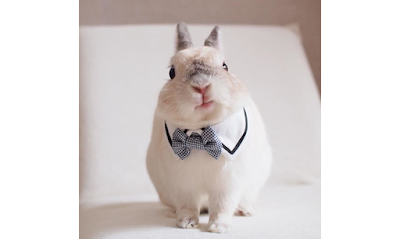 Upon reviewing these Instagram accounts we are more and more convinced that Rabbits are indeed misunderstood to be non-expressive. Bunnies may be quieter than most Pets, and are often the subject of Pet abandonment worldwide. But did you know, with proper care and effort spent on bonding, your Buns could actually turn out to be a charming companion with a bag full of surprises? Let’s take a look at these ten Instagram accounts with proof of their Bunnies amusing antics and everyday lives, from enjoying a treat, taking a walk outside, getting a good rub down and even snuggling with one another. Give yourself a reason to go dawww with a good dose of warm fuzzy feelings! On the contrary to just gaining fame, most of these owners are actually supporters of Pet adoption. 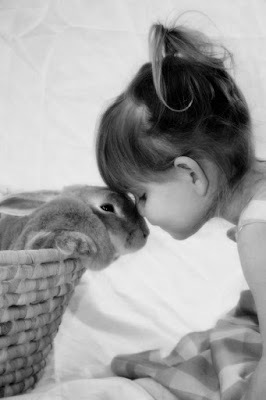 Rabbits are often bought on impulse due to their irresistible cuteness and later on abandoned or mistreated. Failure to realize the immense responsibility that comes with these tiny furry creatures is usually the cause. 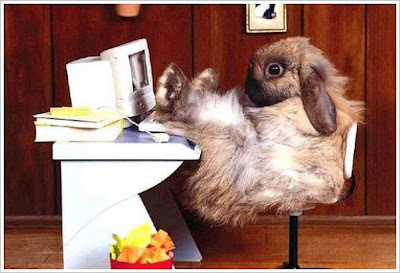 Some of these owners use these accounts to educate the public on Rabbit care and others. Cute yet informative, a lethal combination for the crowds! We add on to the list scrupulously, check back for more! At the top of the list with the largest following is BunnyMama. What started out as an account for the first two Bunnies Eddy and Rambo (our condolences, R.I.P Eddy and Rambo) has now grown to be a family of five rescued Rabbits (Moo, Bowie, Taffy, Oli and Ellie) enjoying their lives currently in Vancouver, Canada. Follow the adventures of these lovely Angora Rabbits Otis and Suki as they live their happy lives being cared and adored by pawrent Molly. This account was named after her first bun Wally (our condolences, R.I.P. Wally). The journey continues with fun times of Otis and Suki in Massachusetts, USA. This was Wally watching the Amazon truck pass our mailbox without making a delivery. Even when he knows he didn't order anything, he always has a sliver of hope that somehow he'll still get a package. Exempel the Mini Lop from Sweden follows his Mom everywhere, making new friends outdoors with a good bit of exploration time, and posing pretty for the lens. Hop onto the wagon with tons of other followers and join Exempel’s fun lifestyle and mini trips. Another Instagram account that has grown to house more than one Bunny, Life of Mill is now home to two more Buns, Stella and Princess, living their cage-free life in Sweden! Get up-close and personal with a dosage of Bunny noses, and enjoy tranquility amongst picturesque locations in the company of three beautiful Bunnies.
. 💚 Evening walk with this little lady 💚 . Another account hailing from Sweden, meet Melvin and Bianca as they show you the right way to thoroughly enjoy a good rest, on your beds! Let Melvin and Bianca’s owner show you how a minimalist Bun pad ought to look like, bunny-approved. Its the infamous hat-wearing Bunnies from Japan, two adorable, chubby Buns always snacking in carefully selected head-wear. Join their lovely adventures indoors and outdoors in their lovely hometown. Sweet looking Buns from Japan here to wow you at how much they resemble Rabbit woolly figurines. Top it all off with adorable hats, and you've got a fluffy bunch of hoppers. Honestly, we couldn't tell them apart in some photos! 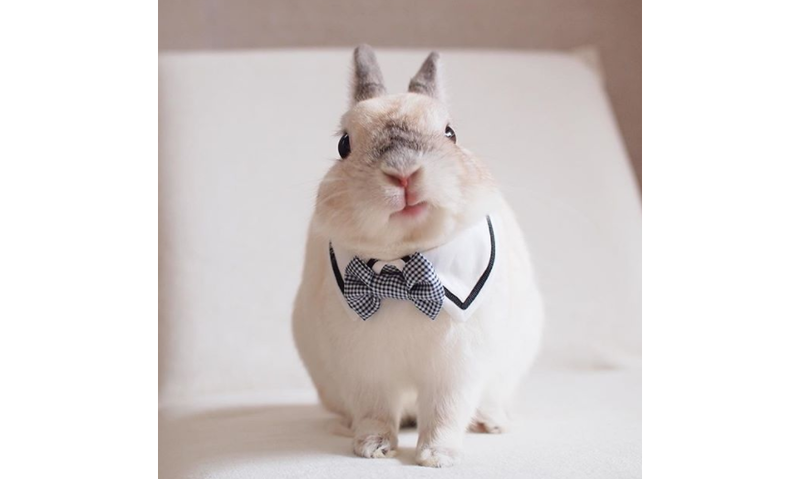 This account handle is none other than PuiPui’s owner, only the most fashionable and trendy Rabbit in the whole world from Tokyo, Japan. PuiPui dons a myriad of outfits lovingly handmade by owner Mumitan. We wished we were with PuiPui as it enjoys outings with mom in adorable Rabbit sized clothes fit for every occasion. Do we hear you screaming 可愛い kawaii?! Meet Toro the Netherland Dwarf from Japan! As though his adorable expressions aren't enough, Toro spends his days with a miniature him, and dons on costumes that are dapper and way too cute sometimes. Reuben is a Rex Rabbit from Melbourne, Australia. Reuben spends much of his time munching on dandelions, snuggling with the house Cat and receiving artwork done up specially by his many fans. Flower crowns have never looked better on a Rabbit. Follow the small lives of Maribow and Yukinko from Japan, as they show you how stylish and extra adorable Rabbits can look with pretty costumes and hats. Live the City life with Cleo, an English Angora from New York City and his mom, Diana. Cleo enjoys company with people of all ages and spends its time with mom being the spotlight of many events. It’s almost unbelievable how picture perfect Cleo looks in all of the photos! City-mouse, who? Last but not the least bunch of Rabbits from Sweden is Io and Kili, a pair of extremely loving Buns that can’t ever get enough of each other. Feast your eyes on one of the cleanest and most minimalistic Rabbit photo-journal, as they show their fans how Rabbits are capable of love. Gaze upon the daily life of Lucas, an all-white English Lop with tremendous ears and appetite for blueberries. Flap about with those ears and this large bun and his bright blue eyes. P.S. Video-heavy account! Considered to be a small animal available as a domestic Pet, Rabbits are very popular amongst children due to their attractive physiques. Unfortunately, the lack of research and education leads to many bunnies getting abandoned worldwide. As with every Pet, preparation, time and effort goes a long way to maintain a healthy and happy life for them. If you aren’t ready for the responsibilities to come, avoid the impulsive choice of obtaining a Pet. The above are some examples of great Pet ownership, it isn’t tough to make life pleasant for your furry pals by your side! What Is My Rabbit Thinking? Got adorable Pets of your own? We’d love to share them with the world! Your voices are important to us and the Pets community! Our readers are encouraged to share their Pet-related reviews of a place and its services, experiences, even lifestyle tips and tricks to better our Pets lives, on our platform, one paw at a time. Be a part of an educational and informative Pets community because at ThePetsDialogue, your voices could make a huge difference on a global scale. ThePetsDialogue claims no credit for images posted on this article unless otherwise displayed/stated. All rights go to respective owners as mentioned. If you do not wish for your image(s) to appear here do drop us an e-mail and it will be removed promptly. If you do wish to use any of our original published information, you are welcome to contact us!